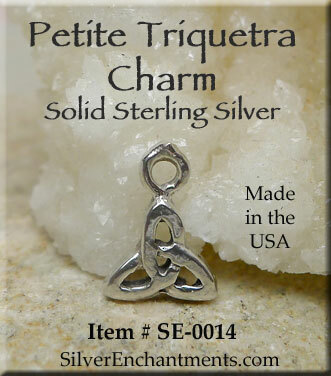 A Small Sterling Silver Triquetra Charm suspended on your choice of 16-inch or 18-inch Sterling Silver Necklace Chain. Overall Charm Size, approx. : 10mm x 8mm = ~3/8" x 5/16"
Sold by Necklace - see last pic for current chain style. 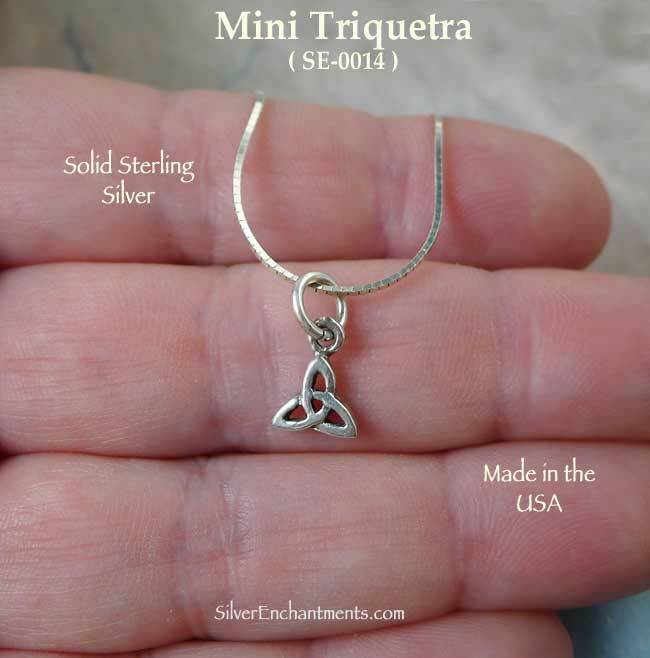 > You can Customize your Sterling Triquetra Charm ecklace -- Choose from a 16-inch or 18-inch Sterling Silver Necklace Chain. Please see last picture for current chain style. 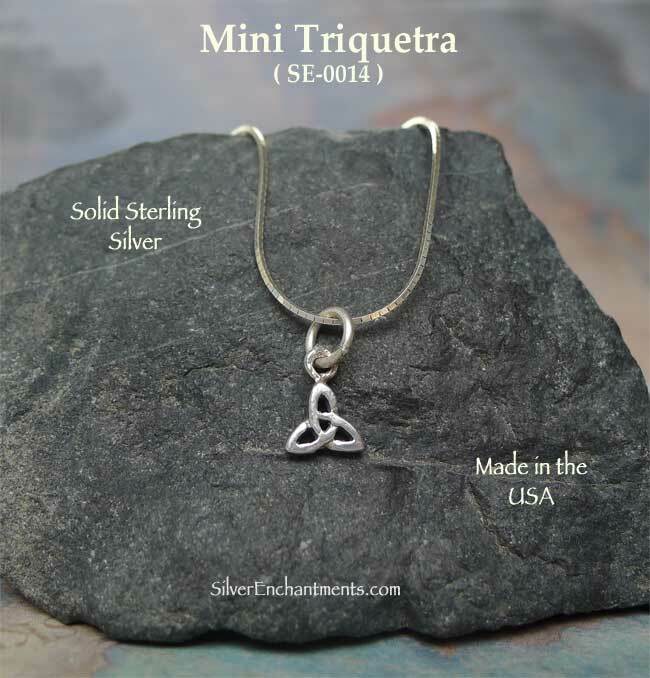 Your Sterling Silver Celtic Triquetra Necklace will come Boxed. 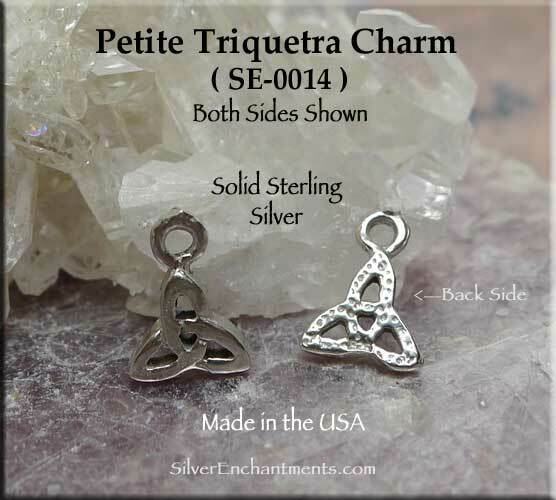 The Triquetra is a symbol of trinities, often found in Pagan and/or Christian contexts, and has been used to represent many three-fold systems.